Our Kickstarter was a success, and we have our wonderful backers/future readers to thank for it! Stay tuned for news about our fifth-issue launch and the possibility of a vlog. 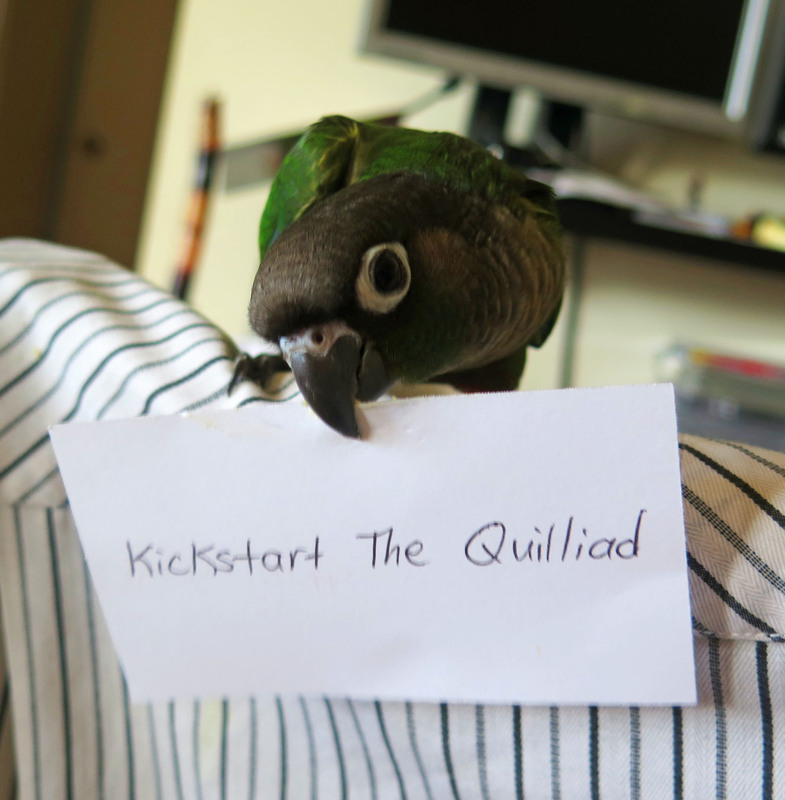 If you didn’t get the chance to back us through Kickstarter and/or would like to be a different sort of patron of the arts, visit our Patreon account at https://www.patreon.com/thequilliad. Patreon allows us to maintain operations in a sustainable way while offering you rewards for your patronage (such as haiku-on-demand!). Thank you again to our wonderful backers. You’ve made dreams come true. As our Kickstarter counts down. 1. Supporting small press publishing. Small presses rejuvenate literary and artistic culture. They give opportunities to The Next Big Thing to be discovered, and they provide space for projects that don’t have as much commercial appeal but are intensely creative and interesting. Small presses help maintain the vitality in artistic culture that variety brings. Sometimes they become big presses, too–but they never will if we don’t support them. 2. Poetry on demand. If you’ve ever wanted someone to write you a poem about pizza, zombies, your love for your cat, your favourite season, a favourite photograph or song, or even about how awesome you yourself are, this is your chance. Alongside other rewards, we’re writing haiku and glosas for our backers (and we’re all published poets). 4. Supporting new voices (and, in the case of art, new perspectives) as well as established ones. We publish based on literary or artistic merit, not publishing history, so we end up with an interesting mix of emerging writers and artists gracing our pages alongside those whose work is already widely published. This mix gives new talent the opportunity to get stuff out there and gives you, our potential readers, a taste of what’s to come. 5. Actually, truly supporting writers and artists. We pay our contributors for their work, and there are no submission fees. This means that our publication counts as a paid publication for grants (essential if you’re leading a creative lifestyle) and, we think, shows appropriate respect for the hard work our contributors do. There’s also an added bonus for you: if we have to pay for it, we aren’t going to publish anything we think is mediocre. 6. Supporting Canadian writers and artists. We believe more people should know how creative and talented Canadians are, and we believe that whether you’re from Toronto or Nebraska, you’ll find something to love in our pages. We ship to Canada and the United States, and digital rewards are available anywhere. 7. Great value for your money. We think of our Kickstarter more as pre-ordering than donating, and we price accordingly. For $3, you can get a digital copy of issue 5; for $15, you get a print copy of issue 5, a digital copy of any issue you’d like, and a haiku written on the subject of your choice. If you back us with $75 or more, you receive a print copy of issue 5, a print copy of one other issue of your choice, a glosa based on any 4 lines of your choice which we will publish in our 5th issue, and an 8×10 art print. We will also include your name in the acknowledgements for issue 5. These are only a few of the reward levels available. 8. Great artists like Eden Bachelder. We’re a little obsessed with her work right now–she’s even our cover artist this issue. She’s not alone, either. We’ll have awesome art from other artists in issue 5 as well, but she’s our feature this time around. 9. Great writers like Sara-Jane Gloutnez and Lisa Young. These two were our early acceptances, and we think their work is fantastic. The publications, publishers, and reading series that have featured them all seem to agree. This issue will be filled with clever, insightful, and evocative prose and poetry by all our literary contributors (take note, Canadian writers: there are still a few hours left to send your submissions to thequilliad@gmail.com). 10. Supporting the arts and culture. We’ve talked about small presses, Canadian writers, and new artists, but this is about something bigger that encompasses all three. We believe wholeheartedly that strong literary and artistic culture is essential to a complete and enriching society, and we try to do our part by offering our readers smart, well-crafted writing and art, carefully curated by our obsessive editors. So if any of these reasons sound good to you, check out our Kickstarter. 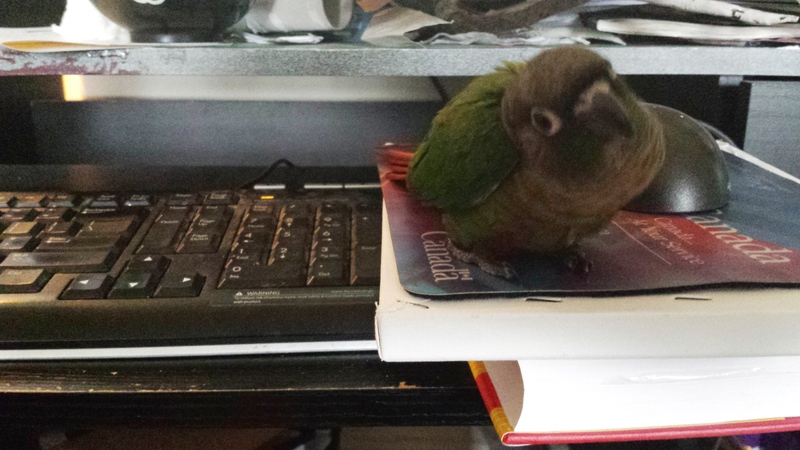 Bonus #11: Because poetry parrot says so! Thank you so much to our backers so far. With our submission call almost over, we’ve got a few early acceptances to give out. We’re proud to announce that we’ll be publishing the poetry of Sara-Jane Gloutnez and Lisa Young in issue 5. Sara-Jane, whose work we’ve published before (she’s that good! ), has studied creative writing at both York University and the University of Saskatchewan. In 2012, she released her chapbook, Eglantine in August, and was the winner of the Art Bar’s Discovery Night. The poetry we’re publishing by her this issue is lively and evocative. She manages to weave a sailor, melon ballers, toothaches, and pregnancy into a fragmented narrative that gives us tantalising glimpses into interconnected lives. Lisa is the author of the poetry collection, When the Earth (Quattro Books) and the chapbook, This Cabin (LyricalMyrical Press). She’s also working on a new collection. One of her poems for this issue with this tantalizing line: “You can’t think of death in spring”. Lisa offers us poems that talk about time, life, and death in fresh ways, addressing big themes through details of the day-to-day. Both writers fill their work with insight and brilliant imagery. If you’ve submitted to our fifth-issue submission call and haven’t heard back, don’t worry. You’ll hear back from us soon; we’re just starting to send out replies. There’s also still time for those who haven’t submitted their work yet. We’re looking for more writing in particular, so if you’re a Canadian writer, send us your short stories, flash fiction, and poetry to thequilliad@gmail.com. If you’re interested in our fifth issue, in which these talented women’s work will be published, check out our Kickstarter. It ends in under two days! We chose this image partly because it’s gorgeous and partly out of a longing for the warm weather and summer colours that should be arriving over the next few months, as our fifth issue will come out in early May. 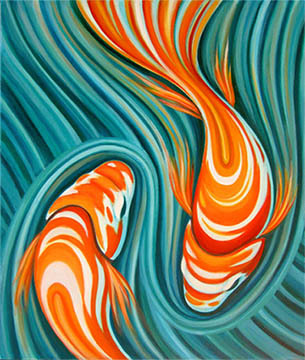 Looking at Eden’s koi fish makes me want to go swimming. If you like Eden’s painting and are curious about her other work, check out our artist profile about her. We also have a full roster of talented writers and artists on board for issue 5. There are still 2 days left for our Kickstarter, so order your copy of issue 5 and some other art and poetry rewards to go with it! While we find this particular piece by our poetry parrot-in-residence perplexing, we’re also intrigued by the almost-coherent first line, which appears thanks to autocorrect on my phone and our poetry parrot’s love of walking all over touchscreens. I took the liberty of creating a title for the poem myself. If you’re a fan of Riff Raff’s poetry, you may want to read some of our previous parrot poetry posts. 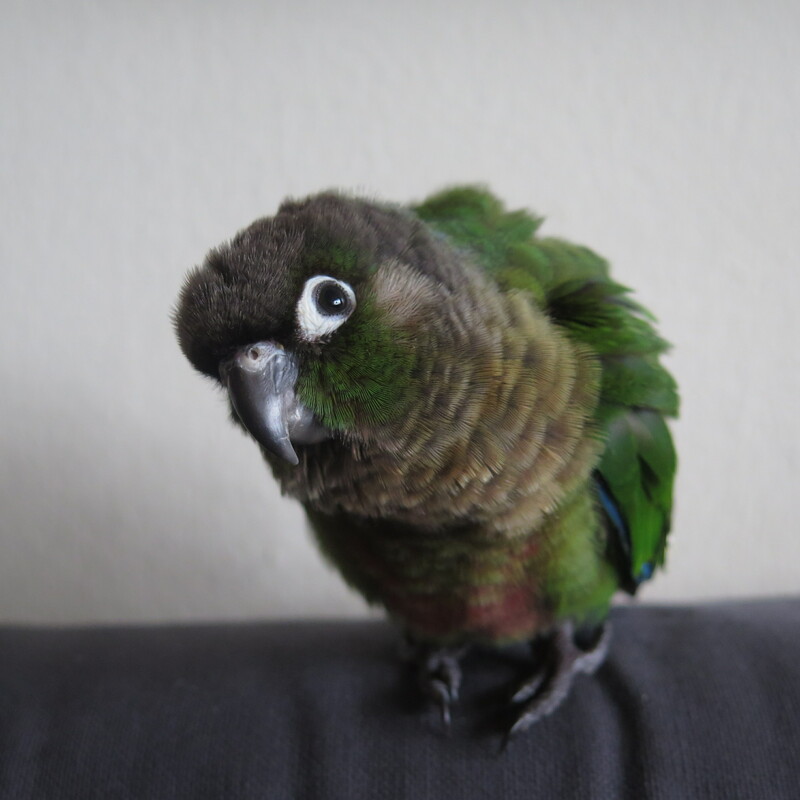 If you like poetry by humans, check out our fifth-issue Kickstarter (which is, in fact, endorsed by our poetry parrot). It ends in 3 days and is an excellent way to pre-order The Quilliad plus snag some additional art and poetry rewards as well. We publish short fiction, poetry, visual art, comics, and photography, and this issue features the beautiful artwork of Eden Bachelder along with the work of many other talented Canadians. Thank you again to our backers so far–we’re at 62% at the time of writing this post! The End of our Submission Call and Kickstarter Approacheth! There are just 4 days left before our submission call and Kickstarter end! You can send submissions of Canadian writing and art to thequilliad@gmail.com. We’re open to poetry, fiction, visual art, comics, and photography by emerging and established writers and artists. 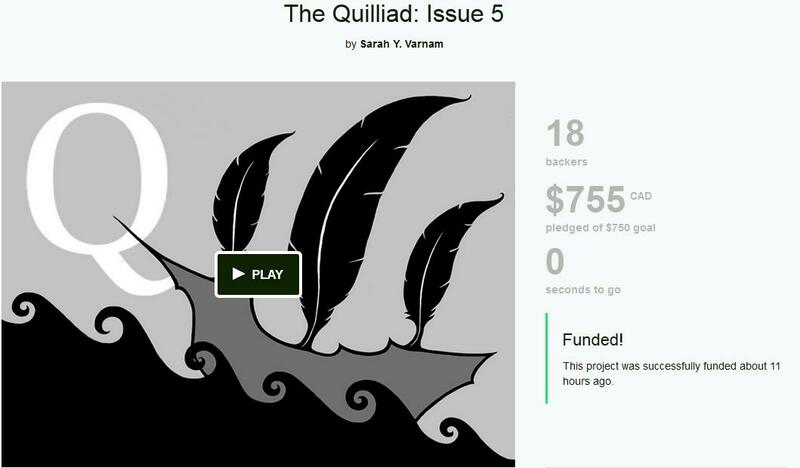 For our Kickstarter, visit https://www.kickstarter.com/projects/1765917797/the-quilliad-issue-5. We’re at 61% of our funding goal with lots of great art and poetry rewards left, as well as copies of our journal. You can see samples of past Kickstarter reward poems on our Tidbits page. We’ve also been practicing for this issue’s Kickstarter poetry rewards with our warm-up for the #TwitterFiction festival. For information about this issue’s featured artist, read our profile on Eden Bachelder. We’ll be including work by other artists as well (and if you are a Canadian artist, one of them could be you!). We’d like to take this opportunity to thank all our backers so far once again–you’re making our dreams and the dreams of our talented contributors come true. 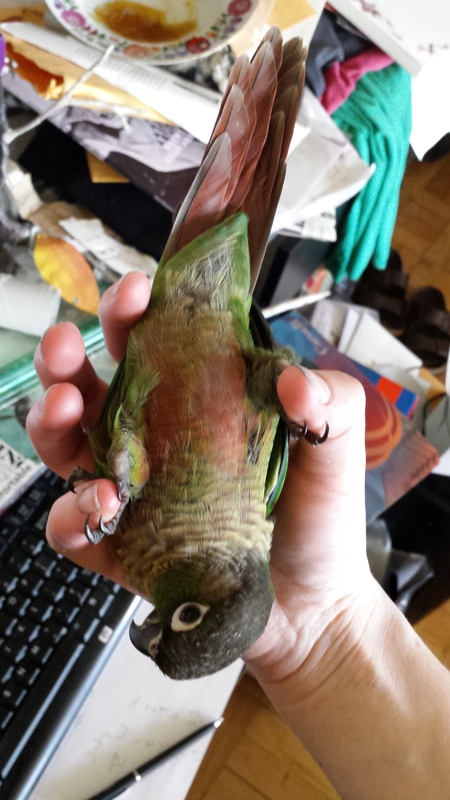 If you aren’t yet convinced that you should check out our Kickstarter, you should know that it’s endorsed by our adorable poetry parrot–in-residence. The Poetry Parrot Strikes Again! Since Riff Raff has been so supportive of The Quilliad’s Kickstarter, we thought we’d share more of our Poetry Parrot-in-Residence’s work. I have entitled this piece “Linguist’s Shriek”. The text of the piece is, of course, all Riff Raff’s (for those who don’t know, my phone is a favourite place for Riff Raff to walk about, chew things, and compose poetry on the touchscreen while I’m trying to send messages). I particularly appreciate the string of vowels and the smiley that show up in the last line. We’ve enjoyed this warm-up round. For the actual festival, we’ll be posting more in the same vein, as well as some #GravestoneHaiku. You’ll have to wait and see what we mean by that. If you’d like us to write some poetry for you, or you’d like to read some in our fifth issue, check out our Kickstarter campaign. We’re offering poetry, art, and issues of our journal as rewards for backers. These rewards will be available to those who have already backed us (thank you!) as well as new backers. We’re excited about where this issue will take us. We have received some excellent written submissions, and we’re thrilled to be featuring Eden Bachelder‘s artwork. 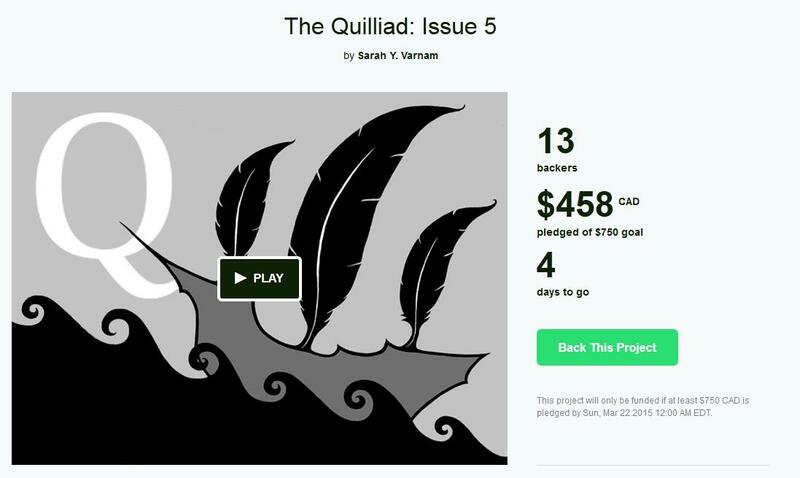 If you are interested in supporting the arts and backing The Quilliad, you can check out our Kickstarter at https://www.kickstarter.com/projects/1765917797/the-quilliad-issue-5. We publish (and pay) writers and artists for their contributions of poetry, short stories, flash fiction, paintings, illustrations, comics, and photography. We’re still open to submissions of Canadian writing and art for our fifth issue, so if you have something to send us, email us at thequilliad@gmail.com. You can find submission guidelines here.